We combine modern design with traditional craftsmanship to take your outdoor space to the next level. From suburban backyards to estate-sized lots, the investment you make in your pool is about more than just cooling off. Let us help you create the environment that surrounds your pool, one that you and your family will enjoy for years to come. When it comes to curb appeal, nothing speaks more to your pride of ownership than your home's entry way. Is there anything more relaxing than sitting by the garden, enjoying a coffee on a warm summer's morning? Van Herpen Landscape & Design was recommended to us by Kemptville Pool & Spa and Greely Sand & Gravel. 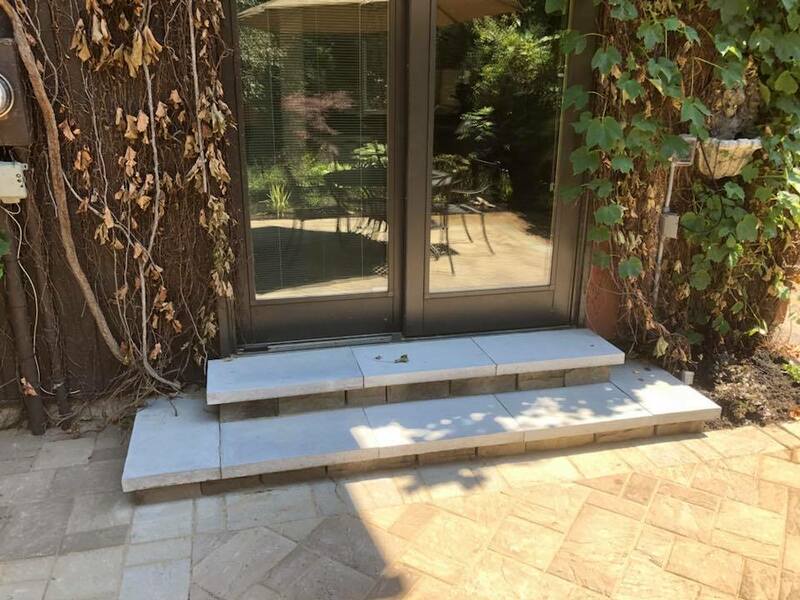 Choosing interlock stone and a design is not an easy task, but upon meeting with Frenk Van Herpen of Van Herpen Landscape & Design, these things quickly fell into place. With his experience and artistic vision he was able to guide us through our decision making processes. 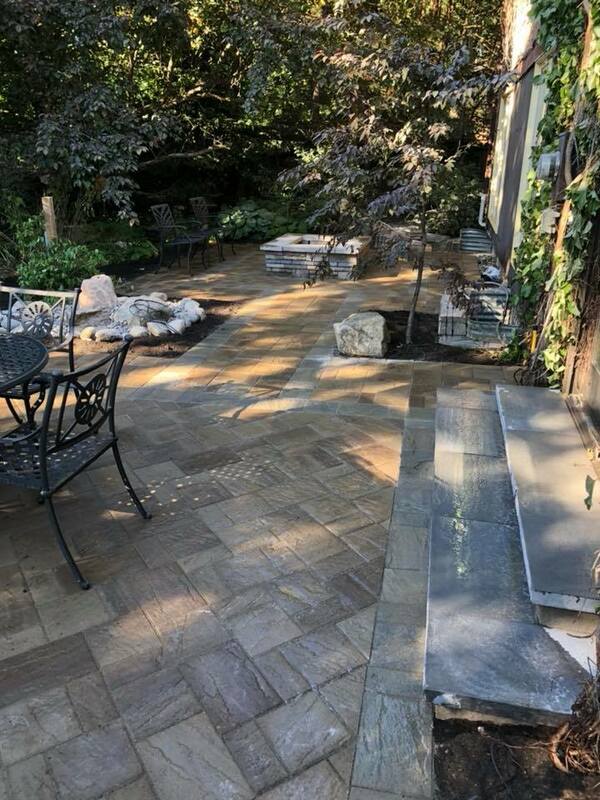 We never realized how much cutting, fitting and grinding and hard work goes into doing interlock, until we were able to observe Frenk and his team transform our backyard into a beautiful retreat for us, and a wonderful area for us to entertain. Frenk and his crew worked diligently and professionally even during a 40 degree heat wave, always leaving their work site clean and neat and safe at the end of each day. Frenk pays such attention to detail, and offered advise and ideas as needed. His whole team is enthusiastic, eager to please, and have a great work ethic. 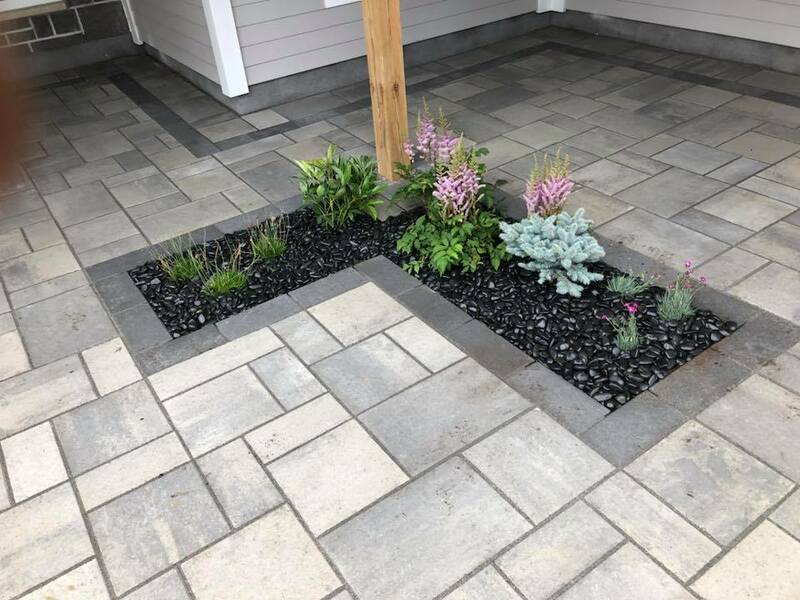 We would highly recommend Van Herpen Landscape & Design, and look forward to having him back to help us design and enhance our front yard next! Just a note to say a beautiful job done at the corner of Van Buren and Prescott St. in Kemptville. I don't think I have seen any publicity in the local paper, and it is unfortunate it has not been noted. I understand Terry Butler is away on vacation, however, when he returns, I plan to congratulate the town for getting a mini-park made at that corner, and possibly was your own design. It is indeed an asset to the corner. Many cars must pass by on that road and also to the college to enjoy your work - well done. Once again, a beautiful spot. We are extremely pleased with the interlocking patio decks and landscaping you created to enhance our newly installed inground pool. Your artistic attention to detail, along with the suggestions you made for improvements to the layout, resulted in unique designs which greatly enhances the aesthetic appeal of our small backyard. Your creative craftsmanship and masterful workmanship have transformed our ordinary backyard into a suburban showpiece. We also appreciated the friendly demeanour of your hard working crew who obviously take pride in their work and the wonderful results their efforts produce. We would unequivicably recommend you to anyone looking for a landscaping artisan to help turn their yards into landscaping showcases. If they want to see for themselves invite them to see our absolutely beautiful backyard. Thanks Frenk for a wonderful job. Frenk and his crew helped us this past summer on two projects - one to create a backyard oasis - where Frenk built a simple yet elegant base and walkway for a hot tub addition. The second project added significant curb appeal to our front entry and driveway. Frenk framed our driveway in pavers and completely revamped our garage-to-front door walkway. We recently had our home valued for prospective sale at $15,000 higher than we had anticipated! I am convinced that the professional landscape work that Frenk provided has contributed significantly to this figure. Frenk constantly conferred with us on the jobs, making sure we were happy with what he was doing, and how he was doing it. Many thanks to Frenk and his team for his professionalism and tireless efforts! A week has gone by since lightning struck our house. Withouth further delay, Frank and I wish to thank you and your colleagues for your quick action. Your call to the Fire Department and all your efforts in helping us save our belongings are greatly appreciated. We will be forever grateful. Once again, thanks ever so much. As a professional landscaper since 1998, Frenk is a proud member of the Landscape Ontario Horticultural Trades Association. Frenk's Interlocking Concrete Pavement Institute certification and pride in workmanship ensures build quality, and his A+ Better Business Bureau standing gives you peace of mind knowing that he is a trusted tradesman. Originally from Holland, Frenk Van Herpen has been providing landscape services in the Ottawa area since 1998. He'd love to meet with you to review your ideas and provide you with a free, no-obligation estimate. Thank you for contacting Frenk Van Herpen Landscaping!